Spirit of Nature is a remarkable, gently fragrant essence that opens appropriate healing gateways to all aspects of the Nature Realms and can be used for healing and clearing with people, plants, animals, crystals and spaces. Each time you use it it will open up the connections needed for that purpose at at that time, so set a clear and positive intention and you may be able to feel a softness run through your energy field or that of the person/animal/place/plant/crystal/space you are working with as a new equilibrium is established. 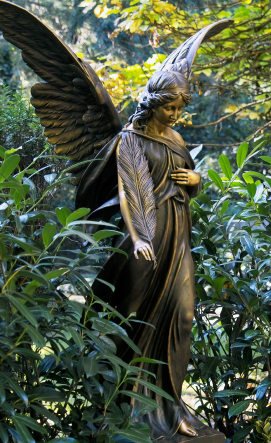 Spirit of Nature is made with the sacred intentions of Growth, Harmony, Resonance, Oneness and Healing. 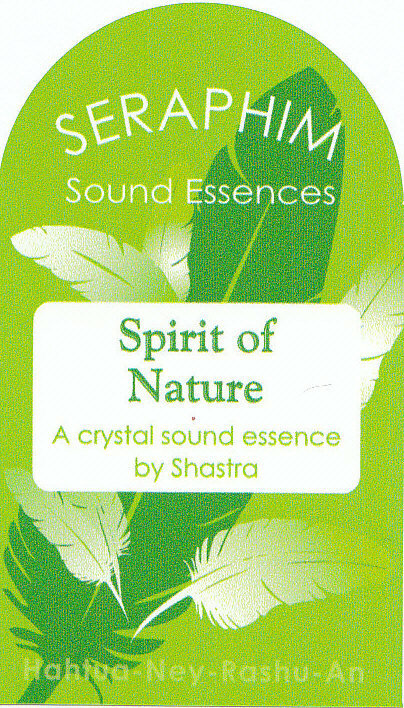 This essence contains the vibrations of Shastra's Seraphim Crystals, plus a wonderful Nature Gateway crystal, another special crystal that opens pathways through the crystal realms and 16 further crystal vibrations that connect with the Earth, Nature and cosmic healing energy. The fragrance is made up of 15 essential oils and absolutes derived from plants, trees, flowers, grasses, fruits and roots. Shastra was led to seek an aroma that was reminiscent of a fragrant meadow. The ingredients are listed here in alphabetical order in case you need to check for allergies: Bergamot, Clary Sage, Fir Needle, Frankincense, Grapefruit, Hyacinth absolute, Lavender, Lime, Niaouli, Peru Balsam, Petitgrain, Rosemary, Sandalwood, Vetivert, Yarrow.